A wonderful American tradition is upon us. A national time set aside to give thanks. As children of Light, all of our thanks points back to one source: our Father. It can be overwhelming to list the many blessings which we have been given. Please join us in giving thanks by adding something for which you are thankful in the comment section of this post. We’re thankful for our students. 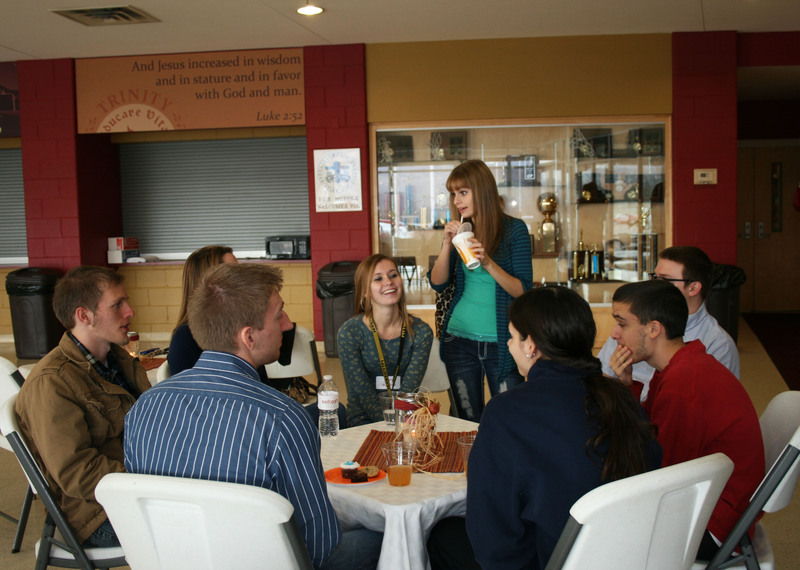 We are so grateful for the diverse student body at Trinity Christian School. Recently the seniors and K-5 students joined together in a time of sharing and prayer involving the shoe box ministry of Operation Christmas Child. We’re thankful for our teachers. 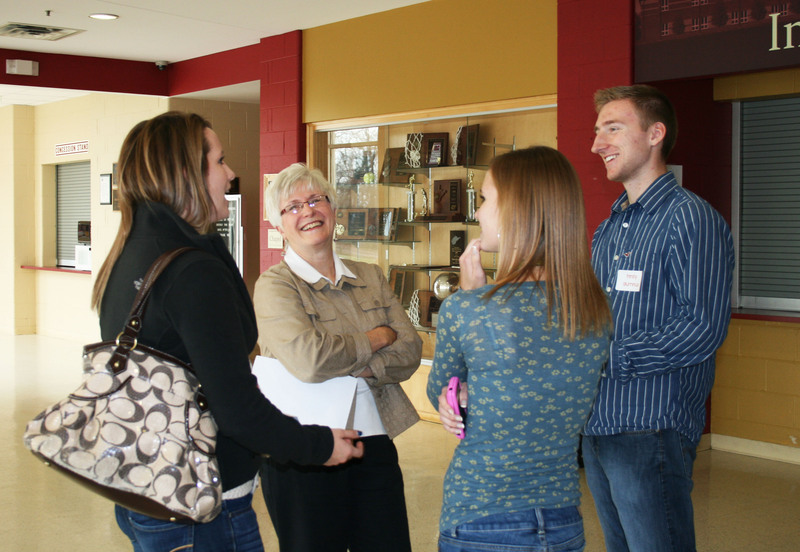 Their impact on students was evident as they visited with former students at a recent Alumni reception. We’re thankful for our Alumni. It is a pleasure to have them visit the campus and hear what has transpired in their lives since the attended Trinity. We’re thankful for our volunteers. They are parents and grandparents, church partners and community members, who give freely of their time and talents to see the continuation of the work at Trinity. 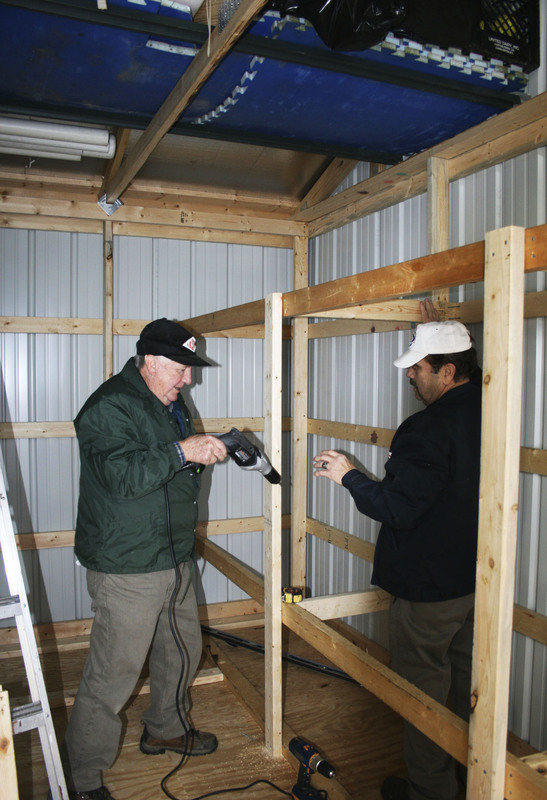 Recently, two volunteers constructed a shelving unit in the maintenance shed on the campus.